Lauren Odette taking the ball down the pitch, defending herself along the way. 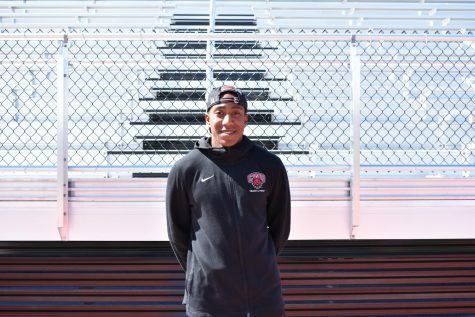 CWU women’s rugby has been known for one thing over the last few years: win- ning. 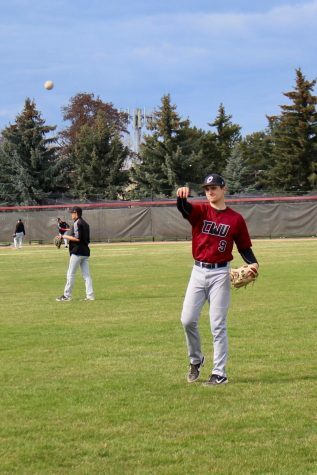 Despite an early season 0-60 loss to D1 Elite Lindenwood the Wildcats expect to have another solid season this year behind head coach Trevor Richards and a talented group of seniors. “Last week was a bit of a wake-up call for some of them,” Richards said. To get the season back on track, the Wildcats have started to lean on each other as there is a long way still to go in the season. Many players have started to get extra work in after practice to make sure that they continue to get better as the season goes on. Instead of folding after the tough loss, coach Richards found that many of his players buckled down and got back to work to ensure they would be ready the next time they played Lindenwood. “We are already starting to see fitness scores improving which is a good metric for us to measure,” Richards said. As this is just the beginning of their season, the Wildcats are still working out the kinks. At the beginning of most seasons, there are many teams in all different kinds of sports that will have mandatory team building activities. 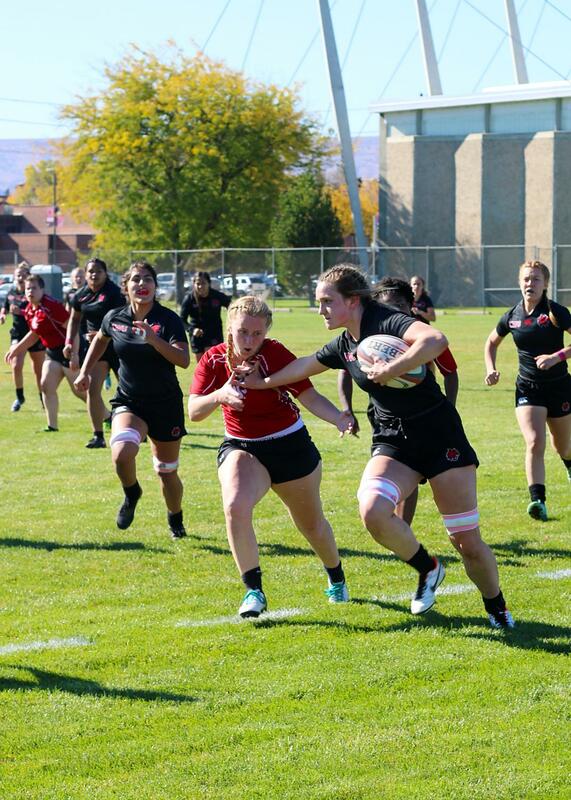 The CWU women’s rugby team is no exception. 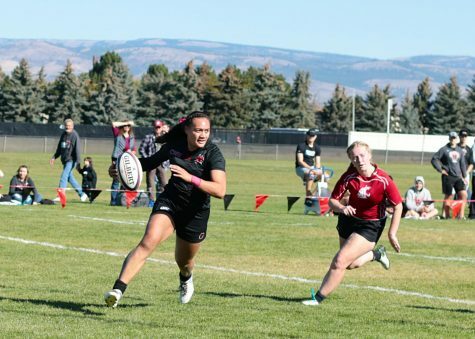 Suiluana Sooialo A’au running into the try zone to score five points for CWU’s women’s rugby team. The Wildcats introduced many new chemistry-building activities to bring the team closer together this year than they have been in past years. 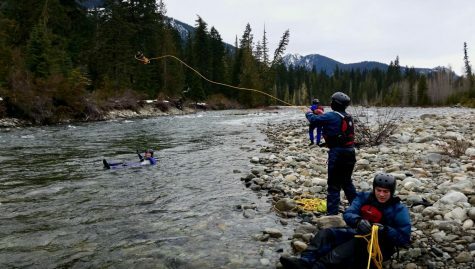 Prior to the season, the team had a camping trip together so that the players could have a couple of days to develop a closer bond and start forming chemistry before the season began. The team also had a sports psychologist come in and talk without any coaches present. With only other teammates in the room, the players could open up and form their own goals as a team without a coach forcing their own ideas on them. The coaches believe that this is the best way for the team to sustain their goals throughout a whole season because the players themselves are driving the meeting. 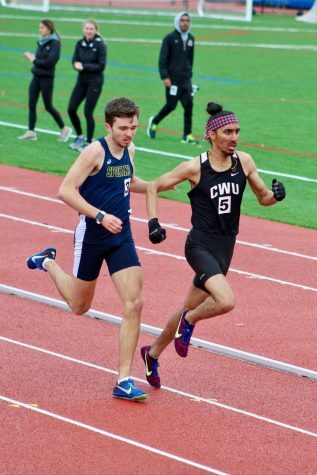 The Wildcats learned from these experiences, just like their coaches wanted them to, and it has paid dividends for the team as they are a much closer group this year. 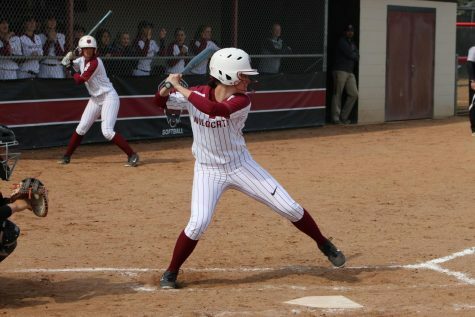 Senior leader Leah Marie Ingold noticed how close the team is this year compared to years’ past. The Wildcats decided to have older, more experienced players take younger players under their wing this season. They call this the “accountabilibuddy” system. 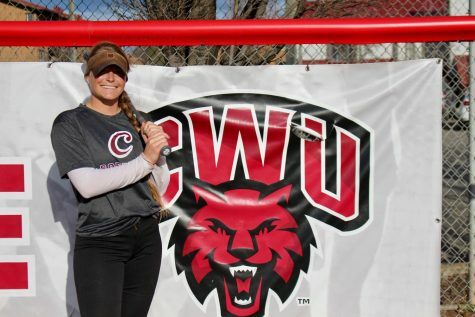 The idea is that the older players can lead the younger players as they start their careers at CWU. The older players are there to make sure that the younger players make it to practice on time, make it to weights on time and are there for the younger players in case they need any help with anything outside of the rugby pitch. This has been huge for the Wildcats, as many of their younger players are being thrust into a more significant role than they initially expected. Senior flanker Joanna Moreira has noticed that the freshmen have stepped it up when they have been put into more prominent positions on the team. “They know their responsibilities to strengthen our team,” Moreira said. This will be huge for the Wildcats, as these young players will only improve as they get more matches under their belt this season. While the first game of the season didn’t go exactly the way the Wildcats wanted, don’t count them out yet. Richards and the crew spent a lot of time in the off-season building team chemistry in the hopes that this will be the year that the Wildcats take the next step and come away with a championship.